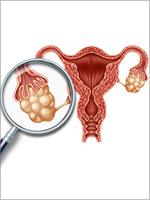 Chances are, if you work in cancer risk assessment or with patients with ovarian cancer, you are familiar with poly-(ADP-ribose) polymerase (PARP) inhibitors. PARP inhibitors were the first class of drugs specifically developed to treat BRCA -related tumors by targeting the DNA repair pathway. Although they were developed more than a decade ago, the FDA only granted approval for their clinical use a few years ago (for BRCA carriers with advanced ovarian cancer who were previously treated with ≥3 lines of chemotherapy). Since the December 2014 FDA approval, the number of PARP inhibitors on the market, as well as the BRCA -associated cancers they are used for, have increased.1 PARP inhibitors represent 1 example of how the underlying molecular mechanism by which cancer develops can lead to more personalized and effective treatments. No longer is cancer risk stratification the sole focus of inherited cancer genetic diagnosis—the discipline has entered a new era in which diagnosis may result in therapeutic implications. The use of PARP inhibitors in BRCA -related cancers, and the potential role of immune checkpoint inhibitors in CMMRD-related cancers, serve as examples of ways in which a genetic diagnosis may have therapeutic implications. As more is understood about the relationship between inherited cancer germline mutations and the biology of their associated cancers, it is likely that an increase will be seen in targeted therapies. However, for this to occur, individuals must first be genetically diagnosed, and then be offered research and/or registry opportunities so targeted therapies can be developed. 1. FORCE Facing Our Risk of Cancer Empowered. PARP inhibitor therapy. Updated October 17, 2016. www.facingourrisk.org/understanding-brca-and-hboc/information/cancertreatment/parpi/index.php. Accessed March 20, 2017. 2. Bakry D, Aronson M, Durno C, et al. Genetic and clinical determinants of constitutional mismatch repair deficiency syndrome: report from the constitutional mismatch repair deficiency consortium. Eur J Cancer. 2014;50:987-996. 3. Shlien A, Campbell BB, de Borja R, et al; for the Biallelic Mismatch Repair Deficiency Consortium. Combined hereditary and somatic mutations of replication error repair genes result in rapid onset of ultra-hypermutated cancers. Nat Genet. 2015;47:257-262. 4. Bouffet E, Larouche V, Campbell BB, et al. Immune checkpoint inhibition for hypermutant glioblastoma multiforme resulting from germline biallelic mismatch repair deficiency. J Clin Oncol. 2016;34:2206-2211. 5. ClinicalTrials.gov. Pilot study of nivolumab in pediatric patients with hypermutant cancers. https://clinicaltrials.gov/ct2/show/NCT02992964. Accessed March 20, 2017.